We partnered Coffee Beanery with a Warner Bros. feature film for a retail promotion, and made their social media numbers sky rocket! Coffee Beanery is a close-knit family oriented business that exudes a family-friendly environment. Hollywood Branded secured a co-promotion with WB’s “Jack the Giant Slayer”, a play off the childhood favorite “Jack and the Beanstalk”. 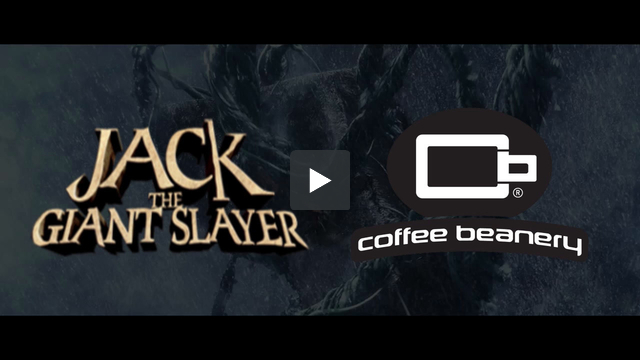 The campaign was to host a retail store promotion at all US store locations, include a social media contest through the Official “Jack the Giant Slayer” social media pages, Coffee Beanery press release, and licensed merchandise. Coffee Beanery received over 16MM Press Views from over 3,000 press sites, such as AMC Theatres, toofab.com, WarnerBros.com, ScreenCrush, and more. Coffee Beanery also received over 600,000 impressions on Facebook with over 18,000 engaged users.